Over the weekend there has been a burst of activity in the social media as authors respond to a flurry of take-down notices sent by Elsevier to Academia.edu on Friday. Elsevier have asked for some 2800 final published versions of their papers to be removed from the social networking site. 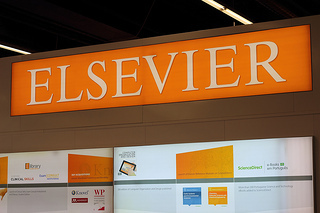 Whether you believe that Elsevier are within their rights (they are, because of the copyright notices that authors must sign) or behaving in a way that is counter to open scholarship (also true), the facts remain that this is a blow to those who wish to share their research as widely as possible and it has upset a great many people. So if you have published in an Elsevier journal how can you legally make your work available to others? Elsevier’s article posting policy distinguishes between three versions of the manuscript, the pre-print, the accepted author manuscript and the published journal article. Please do check out the Elsevier website (see their article posting policy and their statement on green open access) but, in brief, Elsevier’s default position is to permit authors to deposit both the pre-print and the accepted manuscript in an institutional repository such as NECTAR, but not the final published article. If you have published with a different publisher and want to know whether you can legally share copies of your published work then the SHERPA/RoMEO is a good starting point and you can of course contact the NECTAR team for help. Posted on December 9, 2013, in Library and tagged academia.edu, Elsevier, journals, NECTAR, open access, resources, social media. Bookmark the permalink. 2 Comments.